Outlast is outstanding, and this is coming from a player who had never finished a true horror game before attempting Outlast. In fact, the only two other “horror” games I have ever played were Resident Evil 5, on which I think we can all agree was not scary at all, and Slender: The Eight Pages, which I never finished. Outlast, despite the fact that it scared me more times that I would like to admit, still managed to keep me coming back for more even though most of me never wanted to see the inside of Mount Massive Asylum ever again. In a nutshell, Outlast is the most suspenseful, intense game I have ever played. Its realism astounded me because I felt like I was truly on the run from a real enemy who could kill me at any moment; I was always fully immersed in the action. Outlast is one of my favorite games of all time, despite its few, very minor flaws. I’m insanely glad that I overcame my fear of the unknown to finish this masterpiece, and I cannot wait for an Outlast 2, if it is ever announced. 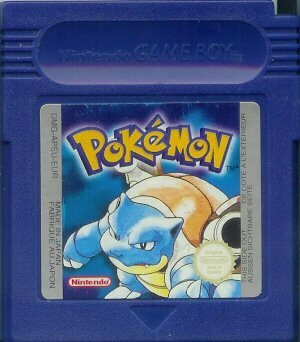 In my last post, I talked about Twitch Plays Pokemon, and if you haven’t read it yet, you should probably do so by clicking this link. Basically, I talked about the facts about what TPP is in a nutshell. I explained what the purpose of the stream is, I detailed the Democracy vs. Anarchy system, and so on. Part 2 of this article is a bit more… fun, shall we say. This will explore and explain more of the pop culture impact this stream is having on the gaming community, not to mention the intricate lore I can’t accurately describe. To be honest, I’m amazed with what’s happening, and I kind of adore the stream for being able to create so much lore and so much media based on this nonsense. We surely have an interesting community here, and this post will explain just how kooky the TPP’ers really are. 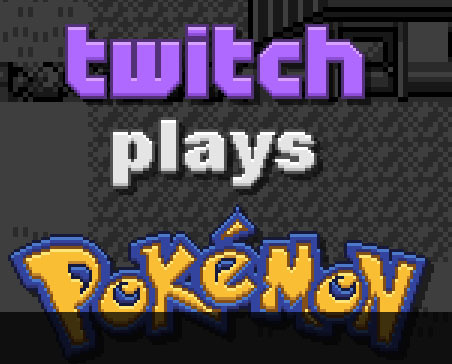 Unless you’ve been oblivious to Twitch, Facebook, blogs, websites, and the internet in general, you’ve probably at least heard of this thing called “Twitch Plays Pokemon.” Maybe you’ve simply heard of it and nothing more; maybe you know a little about it, but you’ve never watched. Maybe you watched and found it stupid. But if you’re like me, then you watched TPP and got hooked; maybe you find yourself checking in on their progress daily. I think most of us can agree that Twitch Plays Pokemon is weird, chaotic, and kind of stupid. But there’s more to it than that. In a way, it’s a cultural phenomenon. I don’t think any other Twitch Plays stream will ever reach the height that this one has, but I think that this is definitely an event that will go down in video game history as a social experiment that enthralled hundreds of thousands of viewers, spawned its own lore and fictional religion, and brought scores of players to work together to beat Giovanni and the Elite Four. So, I finished Outlast (a review should be up at the end of the week) and now I’m moving on to a game that I’ve wanted to play for quite a while. If you remember, a couple weeks ago, I asked you guys what game I should play next out of the four older titles I have on my “want to play” list. The four titles were Portal, SSX (reboot), Mirror’s Edge, and Metal Gear Rising: Revengeance. 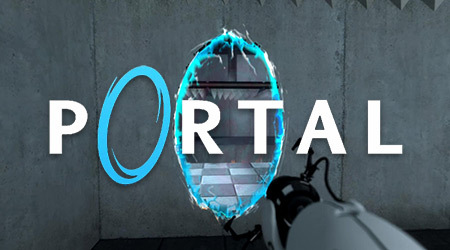 Of those four, it seems like Portal was the most recommended. I headed to eBay and purchased a used copy of The Orange Box for my 360, and waited patiently for the arrival. It arrived with plenty of time to spare; I hadn’t even finished Outlast yet when it arrived. Now, my Outlast adventure is complete (though I may try speedrunning it, just for fun), and I’ve just begun my Portal experience. After one chapter, I can say that I’m amazed, confused, and excited all at once.